This is where the Master Plan begins to take shape. Using the previous reports as a guide, the Architect begins to sketch out ideas for meeting the identified needs. These needs will require imaginative design solutions from the Architect and it is important for the Church to be open to a wide variety of solutions. Development & Review of Alternative Solutions: Several different solutions would initially be presented to the Church Committee. As the Committee starts to narrow down the field to solutions that make sense to them, the Architect would develop cost estimates for these alternatives and identify the pros and cons of each solution. Once we have looked at a variety of options, the Committee will hopefully reach consensus as to which option they would like to present to the entire congregation. Phase III Report: This report documents the process by which the preferred alternative was arrived at. It would include copies of drawings presented to the Committee, narrative descriptions, and square-foot cost estimates for each scheme under serious consideration. 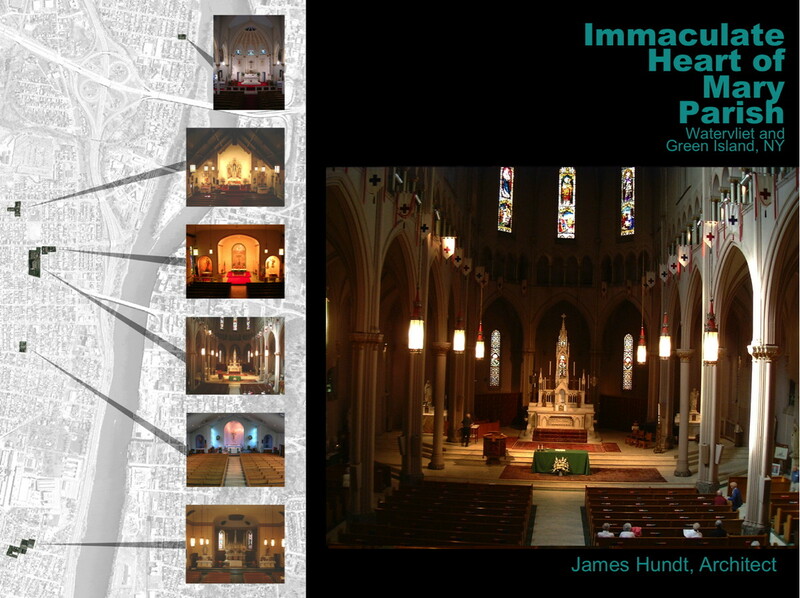 One of the most comprehensive and challenging Master Plans I ever worked on was the Master Plan for the Immaculate Heart of Mary Parish in Watervliet, NY. Formed from the consolidation of six parishes in two different communities, a Master Plan was an essential tool for the future of this parish. 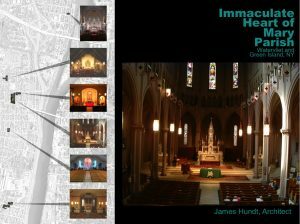 After evaluating the twenty-one buildings from the former parishes, our study determined the most efficient and economical use of these buildings as tools for serving the spiritual and social needs of the community. Our approach to this project addressed not only the building issues but also the emotional issues that come with the loss of long-standing church homes. You can read about the solutions we developed in the Phase 3 Report for this Master Plan. To read more about the Master Plan process, please click here. What to do with all these closed churches?